We always enjoy talking with current and potential customers. If you have any questions about our products and services, fill out this form and we’ll respond as soon as we can. Contact us today to register. You’ll also receive our FREE customized report that compares your business to your competitors. The size of our workshop groups is limited so act now! Allen & Company, PC was founded in 2006 by Michael Allen after recognizing the tremendous opportunity to help individuals and businesses improve their net worth and achieve their goals. Allen graduated from the University of Georgia where he earned a bachelor's degree in accounting and a masters degree in accounting systems. He is also an alumnus of Georgia State University where he received a masters degree in taxation and where he received the PriceWaterhouseCoopers Tax Research award. Atlanta, Georgia May 19, 2011 - Michael Allen sits in on The Mortgage Guys radio show. Michael R. Allen, president of Allen & Company, PC, will be a guest on the weekly radio show "The Mortgage Guys" in Atlanta, Georgia on Thursday, May 19, 2011 at 8:00 p.m. The show's hosts Dan Dadoun and George Beylouny will be talking about self-employed people obtaining mortgage loans and Mr. Allen will answer questions about deductions that these independent contractors can take, legal entities to consider, and operating their businesses efficiently. Dan Dadoun and George Beylouny are professional loan originators with Emcore Mortgage. Michael Allen is a Certified Public Accountant with Allen & Company, PC. Kennesaw, Georgia November 30, 2010 - Michael Allen to speak to North Cobb Christian School high school students. Michael R. Allen, president of Allen & Company, PC, will speak to high school students at North Cobb Christian School in Kennesaw, Georgia on Tuesday, November 30, 2010 at 1:30 p.m. The students are enrolled in the The Academy of Business program where they study accounting, finance, marketing and management, international business, and other courses over a three-year period. According to Mr. Allen, he will explain why he chose a career in accounting, career options in accounting (including specialty areas), advantages and disadvantages of owning a business, benefits of an accounting education in college, and estimated starting average salaries. Mr. Allen said, "I'm looking forward to dispelling the misconception about accounting being boring, tedious, and suited only for introverts. Who understands financial statements better than accountants? There's a tremendous opportunity for accountants to help business owners understand their financial statements so that they can make better business decisions." Acworth, Georgia November 12, 2010 - Allen & Company, PC will co-host a tax planning seminar with Active Financial Group. On November 12, 2010, Michael R. Allen, president of Allen & Company CPA firm, will be speaking at Brookstone Country Club at a "Lunch & Learn" seminar co-hosted by Allen & Company and Active Financial Group. Mr. Allen will be presenting "Year-end Tax Planning Strategies 2010 and 2011", which will discuss worst case and best case scenarios related to proposed tax legislation effective in 2011, deductions to offset taxable income, and tax planning strategies to reduce taxable income in 2010 and 2011. John Picardi, owner of Active Financial Group, will lead a discussion on tax-advantaged retirement plans. The event will be preceded by complementary golf lessons from a local golf pro at the club. Brookstone Country Club is located at 5705 Brookstone Drive, Acworth, Georgia 30101. "If the administration imposes its mandate of higher taxes, we could see the largest tax increase in American history take effect on January 1, 2011. A one- or two-year extension of all Bush-era tax rate cuts is now more likely due to a substantial number of moderate House and Senate Democrats opposing raising anyone's taxes while the economy is still struggling to recover. Also, Republicans oppose tax increases, but Congress won't act until after the November 2 elections. This makes it difficult to decide what to do when tax planning. What we do know is that year-end tax planning is extremely important so that people can have more disposable income to invest, spend, and donate," Allen said.  For more information about this seminar, please contact either Sue Picardi of Active Financial Group at (770) 722-1483 or Kristin Allen of Allen & Company at (770) 428-6229. John Picardi is a Registered Investment Advisor with Active Financial Group and holds licenses in Securities Series 6, 7, 63, and 65 and in Life, Health, and Variable Insurance. Michael Allen is a Certified Public Accountant with Allen & Company, PC and holds licenses in Certified Public Accounting and in Life and Health Insurance. Kennesaw, Georgia May 13, 2010 - Allen & Company, PC will host an Open House. Allen & Company will host the first Open House and Business Networking Special Evening on Thursday May 27, 2010 at its new office in Suite 206 of the Kennesaw Pointe Professional Center located at 1350 Wooten Lake Road. The event will be held between 5:30 pm and 9:00 pm. According to Michael Allen, president of Allen & Company,"We're excited about hosting our Open House and showing our new office to clients who haven't seen it yet. We're also inviting business associates and friends that we network with so that they have an opportunity to meet some of our clients and make other good contacts. It should be fun!"  Allen & Company, PC is a certified public accounting firm providing proactive solutions in helping its clients define and reach their financial goals. Allen & Company team members have considerable experience in local and international CPA firms, franchised retail stores, and Fortune 500 companies. Headquartered in Kennesaw, Georgia, Allen & Company has developed a reputation for facilitating alliances between its clients, educating through newsletters and seminars, and providing true value with financial performance reviews. Kennesaw, Georgia January 12, 2010 - Allen & Company, PC today announced the relocation of its office to 1350 Wooten Lake Road. Allen & Company will now be based in Suite 206 of the Kennesaw Pointe Professional Center, which is conveniently located near Interstate 75, the highway that leads to Atlanta, Georgia and Chattanooga, Tennessee. "After searching for new office space for over a year, we found exactly what we had been looking for. We found a beautiful office that is ideally suited for meeting face-to-face with our existing clients and with new clients to better understand their financial goals and expectations as well as being spacious enough for hosting open houses," said Michael Allen, Allen & Company's president. The Company's telephone, facsimile, and Skype numbers will remain the same. Atlanta, Georgia October 12, 2009 - Michael Allen presents a tax planning seminar hosted by Raymond James. Michael R. Allen, president of Allen & Company, PC, will be speaking at One Overton Park, Suite 210, 3625 Cumberland Boulevard, Atlanta, Georgia at a "Lunch & Learn" seminar hosted by Raymond James & Associates, Inc. on November 6, 2009. Allen will be presenting "Year-end Tax Planning Strategies", which will discuss tax planning principles, the home office deduction, minimizing self-employment tax, reducing taxable income, tax-advantaged retirement plans, fraudulent theft losses, vacation homes, worthless securities, and credit shelter trusts. "It is very important to implement sound tax planning strategies during the year. Many people don't think about their tax situation until after year-end when it's time to prepare their tax returns. We want to educate people so that they can plan for future events, specific transactions, and survive this economic downturn," Allen said. For more information about this seminar, please contact Glen Merritt of Raymond James at (770) 850-4784 or Ken Whittley also of Raymond James at (770) 850-7313. Atlanta, Georgia September 30, 2009 - Michael Allen to speak at the Cobb Chamber of Commerce on managing priorities. Michael R. Allen, president of Allen & Company, PC, will lead a discussion entitled "Establishing Proper Priorities" from the book Time Power by Brian Tracy. The discussion will be held at the weekly Business Builders meeting on Tuesday October 27, 2009 at 7:30 a.m. at the Cobb Chamber of Commerce administrative building at 240 Interstate North Parkway, Atlanta, Georgia. Business Builders provides members of the Cobb Chamber with an opportunity to study books that help business owners meet challenges in today's fast-paced and constantly changing business environment as well as an opportunity to network with fellow business leaders. According to Mr. Allen,"The discussion will include ideas about determining your values, focusing on things that you do best and enjoy, and separating urgent tasks from important tasks. Executives have, on average, 350 hours of projects to do. So they need to decide what they can put off in order to focus on doing things that make a difference." For details about attending Business Builders, please call the Cobb Chamber of Commerce at (770) 980-2000 or visit the website at www.cobbchamber.org. Atlanta, Georgia September 21, 2009 - A seminar entitled "Buying or Selling a Private Business" will be held at the Georgian Club. Glen Merritt, Matt Slappey, Michael Allen, and Ward Council will be hosting a joint seminar at 6:00 Thursday evening October 8, 2009 at The Georgian Club in Atlanta, Georgia. The speakers will discuss key points on buying a business and selecting the appropriate legal entity, preparing a business for sale, tax consequences of selling a business, legal documents to have in place, and financial planning strategies for the seller. Dinner will begin at 6:30 p.m. and the presentations will begin at 6:45 p.m. Please RSVP to Glen Merritt at (770) 850-4784 or glen.merritt@raymondjames.com. Glen Merritt is a Certified Financial Planner with Raymond James & Associates, Inc., Matt Slappey is a Certified Business Intermediary with Murphy Business Brokers, Michael Allen is a Certified Public Accountant with Allen & Company, PC, and Ward Council is an attorney with the Law Office of Ward Council. CPA firm serving Kennesaw, Marietta, Acworth, Woodstock and north Atlanta.